In November I shared that I was thankful for health and had challenged myself to take 600,000 steps during November and December. At the time of the post I was in the middle of Week 4 and almost halfway to my goal. I'm happy to report that I met my goal a few days early and exceeded the challenge. In November and December I took 629,333 steps. Patrick and I traveled to visit his family over New Year's and I fell off the wagon a bit with consistent step taking. 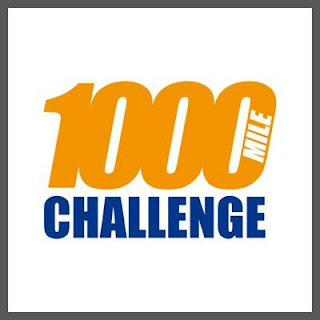 I wasn't particularly looking for another challenge but one of my friends emailed me to see if I'd like to join a "1,000 miles challenge for 2016" and I thought why not?! 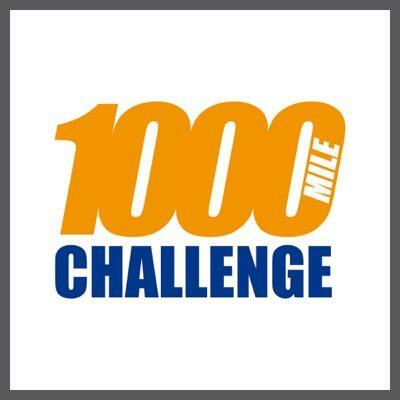 So here I am almost 90 miles and one month into walking 1,000 miles this year. I'm particularly excited about this challenge because, since it's a long term challenge - a whole year, it promotes lifestyle change and awareness and not a quick fix or solution. Over the past three months now, from back in November when I started the 600,000 steps challenge until now, I have noticed that getting out for a walk or a jog was becoming a habit. I keep thinking about consistent walking in terms of Newton's First Law: an object in motion will remain in motion until acted on by an outside force. Obviously I'm not constantly walking and my "outside force" is a bit loose - it's my willpower. Each day that I get out for exercise it makes the next day easier. And the same is true with rest days. After the snow/ice storm the other weekend and many rest days it was hard to get my body in motion again! But after that first day and overcoming the willpower to sit on the couch I'm back to lacing up my tennis shoes for the daily outings and I love it. 1,000 miles here I come! I love this challenge - count me in!